How Should Kids Brush Their Teeth? How should kids brush their teeth and when should they begin? The simple answer is that the minute that first pearly white tooth pops out of your baby’s gums, it’s time to begin brushing. At first, use a very soft brush and some water. Later on, at around 18 months, use a pea-sized glob of fluoride toothpaste. After the age of seven, children can be trusted to brush their own teeth, with a bit of supervision from parents. No parent can doubt the importance of a child’s teeth. Teeth help children eat and speak and support the bones in their faces so they look nice. But teeth don’t take care of themselves. If children don’t brush their teeth, plaque can form in a thin coating on the teeth. Plaque (PLACK), is a sticky, thin film of bacteria that attaches itself to the teeth. The preferred food of the bacteria in plaque is sugar. That may be the sugar in a piece of candy or a glass of soda pop, or it may be the sugars that develop from the carbohydrates we eat, for instance noodles, grains, and potatoes. Any time children eat starchy or sweet carbohydrates, they feed the bacteria on their teeth. As bacteria interact with starches and sugars, they turn into acids. These acids burn their way through children’s tooth enamel, making the holes in their teeth that we call cavities. Brush Their Teeth: Gums, Too! The bacteria in children’s mouths don’t just cause cavities. They also attack children’s gums. If kids don’t brush to remove the bacteria-filled plaque in their mouths, they may end up with gingivitis (jin-ja-VIE-tis), or gum disease. Gum disease not only looks and feels bad, giving children sore, swollen, red gums, but can also cause tooth loss. Gums, after all, are the tissues that hold and support the teeth inside the mouth. Children should brush their teeth twice a day, after eating breakfast and again before bed. It doesn’t hurt to brush after lunch and after having a snack, too. It is brushing the teeth that removes plaque from children’s teeth, keeping them and their gums, healthy. All of the teeth should be brushed, and not just those in the front. If children can think of their mouths as having four parts or quadrants, it makes it easier to cover all of them. Spend 30 seconds brushing each section of the mouth, beginning at the back and working toward the front, front and back of each section, gums and teeth, for a total of two minutes of brushing altogether. Angle the brush 45 degree toward the gums from the upper and lower teeth. Move the brush back and forth using short strokes along teeth and gums, making sure to cover all the teeth and gums, front and back. Make sure the tip of the brush is upright when brushing behind the front teeth, both top and bottom. Don’t forget to brush the tongue, too! Plaque sticks to tongues as well as teeth. It can help to play a 2-minute song as children brush, or to have them sing one in their heads. When the song is over, they’re done brushing! Alternatively, parents can use a two-minute hourglass to help children keep track of how long they should brush their teeth. Some battery-operated or electric toothbrushes have a built-in timer, and will vibrate when it’s time for the child to move along to the next quadrant. Make sure to use a toothbrush with soft bristles. Get a new one every three months. Some toothbrushes have bristles that turn pale when it’s time to change to a new brush. If children become sick with a cold or the flu, buy a new toothbrush once the child is recovered. It’s a good idea to have several spare soft-bristled toothbrushes on hand in the home for this purpose. Buy a bunch when they go on sale. Brush Their Teeth: Floss ‘Em, Too! Floss your child’s teeth as soon as there are two teeth that touch. Do this once a day. Slip the floss between the teeth to remove food that gets trapped between the teeth, where a toothbrush cannot reach. To floss, take a strand of floss between thumb and index finger, wrapping the floss around a finger at each end of the strand for good control. Insert the floss gently and curve it around each tooth, sliding it up and down along the insides of the teeth and just below the gum line. Use a new section of the floss for each two teeth, so as not to transfer plaque from one tooth to the next. Even when children do a great job brushing and flossing, it’s important to have their teeth cleaned by a dental hygienist (hi-JEN- 7i ist) or dentist twice a year. 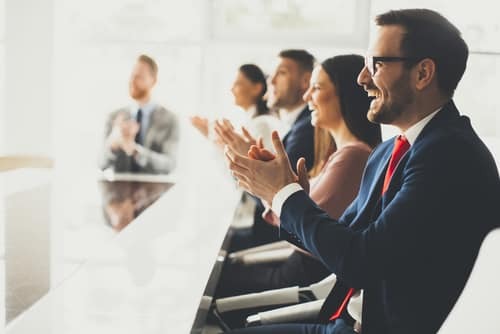 A professional cleaning gets the plaque we might miss, even with the best of efforts. The dentist or hygienist can also give children tips on better techniques to use when they brush their teeth. Limit sweets and starches to starve plaque of its favorite source of nourishment! Brush Their Teeth: Water or Toothpaste? You can begin using fluoride toothpaste for a child of 18 months, using a pea-sized dab on a water-dampened soft-bristled toothbrush. Children should be cautioned not to swallow toothpaste when brushing. Make sure that children spit the foamy mess of toothpaste and loosened plaque out into the sink. Children can rinse their mouths out with water, after they brush0 their teeth. This gives them more practice at spitting! An infant’s teeth should be brushed with a soft-bristled toothbrush moistened with water. For an infant or very young child, hold the child in your lap, facing away from you, or stand behind a young child. The head should be tilted back so you can see the teeth. Brush their teeth gently with a circular motion, angling the bristles toward the gums. It’s important to make tooth-brushing a fun time for parent and child, in order to avoid a situation where the child fusses and fights when it comes time to brush their teeth. You want the child to develop good dental hygiene habits right from the beginning. That’s the best way to prevent painful cavities and expensive dental work. Let your child see you brushing your own teeth, night and day. Doing so sends a message to your child that this is something that everyone does and that it’s important. Brush Their Teeth: Make it Fun! Make tooth-brushing a fun time by gargling noisily or trying to sing songs as children brush their teeth. Roll your eyes and make faces at your child as the two of you brush your teeth together! Tell jokes. Do whatever you can to reinforce the idea that brushing teeth is fun and represents quality parent-child time. Think of keeping your child’s teeth clean as having the same importance as wearing a seat belt in a car, or putting on sunscreen. If you feel this way, your child will come to feel this way, too. If you can’t find a toothpaste your child likes, have children brush their teeth with plain water. Your child will still get the benefits of brushing. How do you make brushing fun? How do you keep kids from fussing at tooth-brushing time? Author Varda EpsteinPosted on 03/14/2018 03/11/2018 Categories Education, Health/Safety, Infants, ToddlersTags dental hygieneLeave a comment on How Should Kids Brush Their Teeth? Buying that first pair of shoes for baby is a big deal. But confining those little feet by putting them in shoes is a bad idea until such time as a baby is walking out of doors. That is when shoes become necessary to protect the feet from things like weather, glass, gravel, dirt, worms and other creepy-crawlies. When indoors, it’s far better for baby to be barefoot, or in socks or booties with non-skid bottoms for warmth. This is best for baby’s foot development. It can be a challenge to resist the impulse to make that trip to the shoe store once the baby is walking. It’s important to keep in mind, however, that shoes make walking difficult for baby. That’s because even the softest, most flexible pair of baby shoes can’t help but get in the way of free movement of the feet. Once baby is walking, on the other hand, you do need to have some shoes for when you go out of the house. Shoes are then necessary to protect the baby’s feet, keeping them warm, dry, clean, and uninjured. 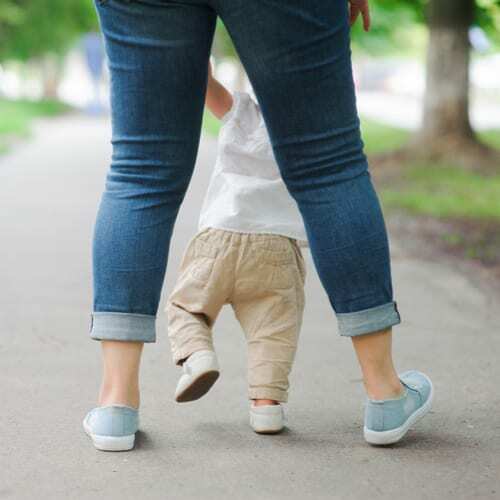 Just keep in mind that it’s best for baby to go barefoot (or in socks or booties) whenever possible, so his or her feet can move unrestricted. Barefoot is best, especially indoors. Some parents think that buying that first pair of shoes for baby will motivate him to walk sooner or better. This is a myth. Shoes make it more difficult for your baby to learn to walk because they restrict the natural movement of the baby’s feet. Think barefoot, which is what baby should be, most of the time, to get baby walking like an expert. Of course, it’s fun to buy that first pair of shoes for baby. The shoes themselves are generally adorable, and baby understands that this is a big deal. The baby tends to feel pride in reaching an important milestone. Mommy and daddy are proud, too. First Pair of Shoes for Baby: What Kind? What kind of shoes should you buy when purchasing that first pair of shoes for baby? Look for shoes that feel light in your hands. See if the shoe is flexible by bending it at midsole. The shoe should fold almost in half, easily. The soles of the shoe should have ribbed, rubber soles to keep baby from slipping and falling. The next step is making sure the shoe fits. Here there is often the temptation to get a shoe that is a bit larger to save money and time. But a shoe that is too big is a shoe that makes walking difficult for baby. Resist the urge to buy shoes with “toe-room,” even though it means buying another pair in the not-too-distant future. Some babies walk more easily in shoes that come up over the ankles. They need the extra support. These high top shoe styles also stay on better, especially for babies who can’t resist taking their shoes on and off. Other babies, meanwhile, do just fine in regular shoe styles. What you want to avoid are unusual or trendy styles, no matter how cute they might be, such as clogs or boots with pointed toes. These may look adorable but make it hard for your baby to walk and may even affect the natural development and growth of the foot. 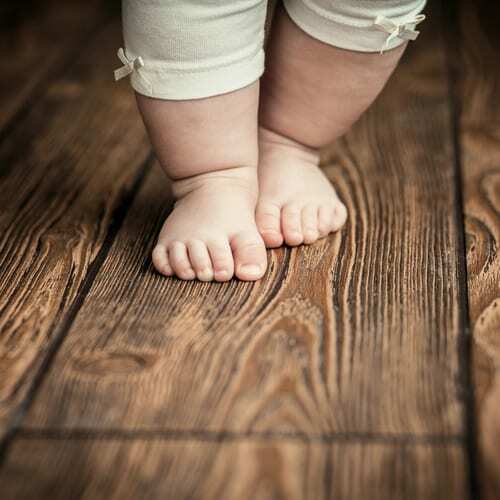 When choosing that first pair of shoes for baby, look for natural materials that bend and breathe. Canvas or cloth sneakers with a not-too-stiff rubber, medium-ribbed sole, or even a soft leather shoe is perfect. The main things are flexibility, so the foot can move and grow, and air, so little feet don’t get hot and sweaty. Medium-ribbed rubber soles should also go a long way toward keeping your baby from slipping and falling. But if you buy leather shoes, you can scrape the bottoms of the soles with sandpaper to rough them up a bit. That should do the trick of keeping baby steady on the feet. Choose a shoe that looks like your baby’s foot, with a square or oval outline or shape. There should be no more than a half inch of space between your child’s big toe and the outermost tip of the shoe. That length is about the width of your thumb. The back of the shoe should hug the baby’s heel without pinching it. If the baby’s heel pops in and out of the shoe, the shoe’s too big. If the shoe appears to pinch the baby’s heel, it’s too small. Make sure the shoe salesperson measures both your baby’s feet. It’s normal for one foot to be up to half a size larger. Buy shoes to fit the larger of baby’s two feet. Babies grow out of their shoes lickety-split. You may have to go shoe shopping again even three months after you purchase that first pair of shoes for baby. Expect it. Check how baby’s shoes fit every few months, by seeing if baby still has about a thumb’s width (half an inch) of space between big toe and front of shoe. Is baby’s toe getting close to hitting the front of his shoe? Time to go shopping! As for reaching this amazing milestone, congratulations!